It’s an open secret that I adore the food of Sam & Sam Clarke of Moro fame. The Moorish-inspired recipes from their brilliant cookbooks are delicious without fail and obviously very lovingly put together. 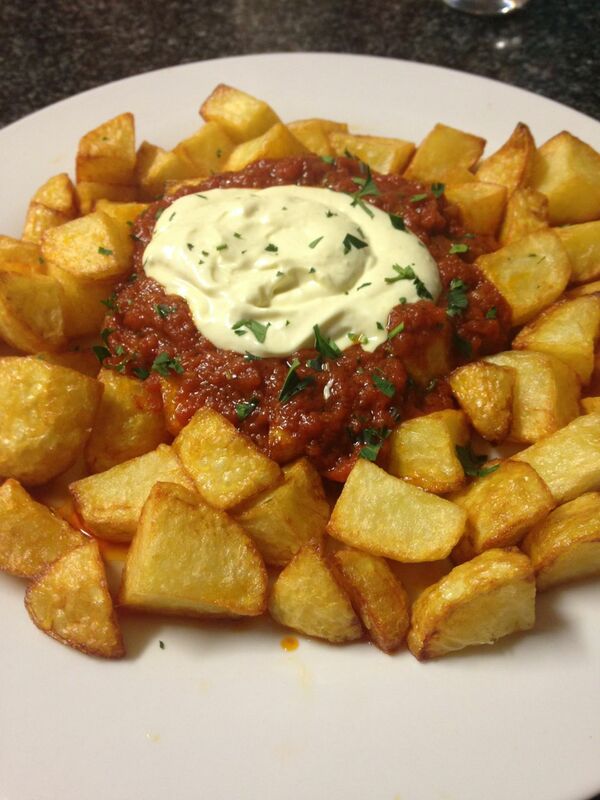 They recently opened Morito, a tapas restaurant next to Moro in Exmouth, London. I plan to go there in December, but was excited to hear that they had published a book of tapas recipes, aptly named Morito (little Moro). On Saturday I did a test run with a friend of a few of the recipes. A few hours later we were stuffed to the gills, but very happily so. The recipes are easy to follow, even for novice cooks, and the dishes look great and taste little little pieces of heaven on a plate. 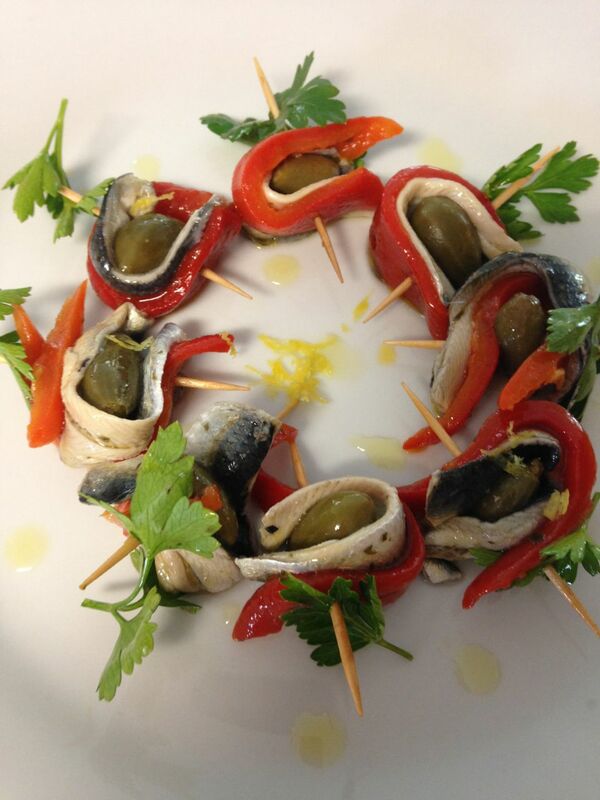 Pintxos: Boquerones, caper berries and piquillo peppers. An italian interlude – not from the book. 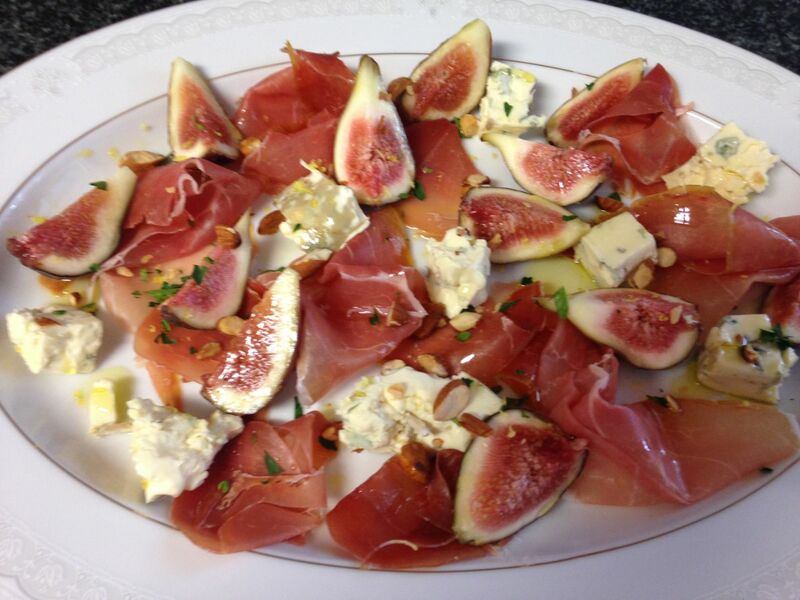 Prosciutto, fig and gorgonzola. 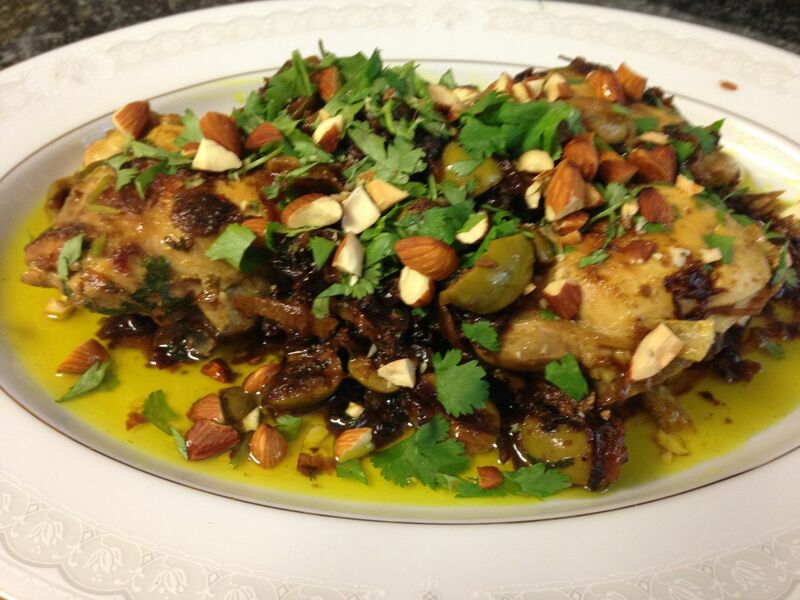 Chicken and preserved lemon tagine. 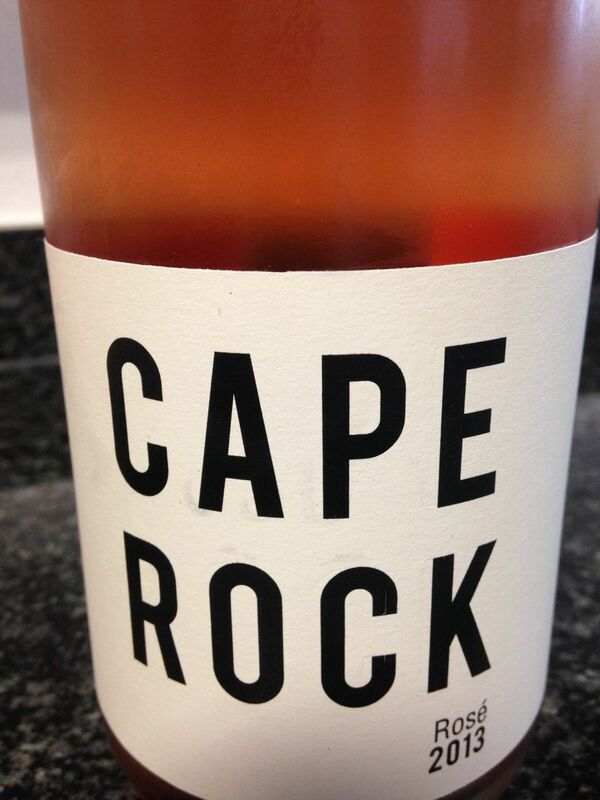 Fabulous savoury Rose (Mourvèdre, Grenache, Carignan, Syrah) to wash it all down. Talk about a pressure test! I invited the series director and head of content of MasterChef SA for dinner last night. After bubbles on the deck (thanks guys), we settled down to a four-course dinner skipping helter-skelter over that rustic/refined line. The prize for the most photogenic dish of the evening goes to (drum roll please)… Salmon Mi Cuit. This consisted of a piece of half cooked (that’s what mi cuit means) salmon, a ginger and ponzu fluid gel, radishes pickled in rice vinegar, wasabi aioli and salmon roe. The dish is inspired by sashimi and salmon roses. I unabashedly adore ChefSteps. I’ve made their 104F Salmon dish a few times, but this time decided to make it my own. I followed the technique for Salmon Mi Cuit (http://www.chefsteps.com/activities/salmon-mi-cuit), which renders the most delicious and succulent salmon imaginable, and dressed it with a few garnishes to invoke that sushi vibe. What on earth is a fluid gel? I decided to put this to the test. I whizzed up some sushi ginger, fresh ginger, ponzu sauce and about 0.8% agar-agar. Heated it to the boil and filtered it through an Aeropress. (Couldn’t find my muslin, works a treat.) I let the gel cool and set, and then blended it. Voila! Fluid gel. The soy in the ponzu with the particular texture of a fluid gel gives it that lovely silkiness and deep flavour of a good jus. To complete the sushi effect I made a wasabi aioli and added some salmon roe. 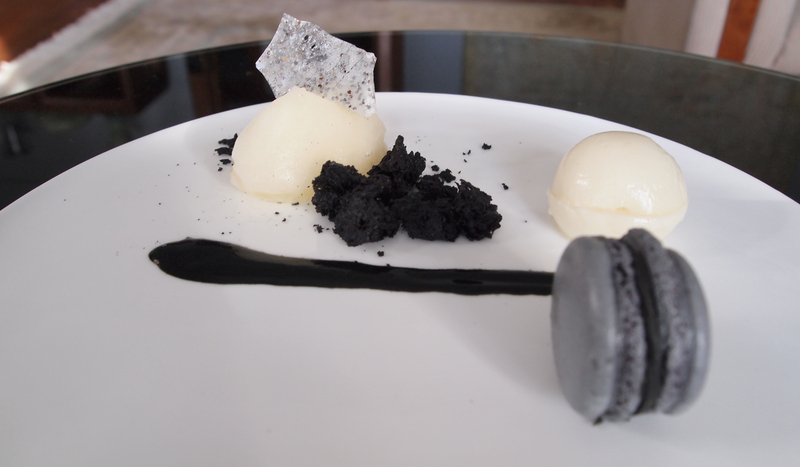 I loved the idea of making a modernist dish and having real ‘caviar’ on the plate instead of something spherified. Finding good coffee when travelling is an expensive and sometimes impossible task. The Aeropress is a wonderful travelling companion. 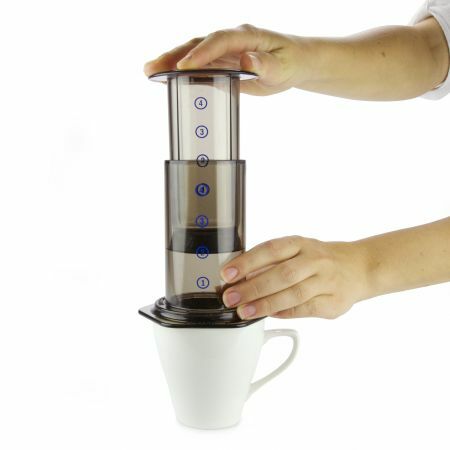 I also found it great at straining liquids quickly and effectively. A dear friend phoned me recently with an offer I just couldn’t refuse. Apparently a large batch of Ferrero Rocher milk chocolate had melted into a solid mass and was seeking owners at R25 per kilogram. How could I resist? I immediately got 4 kilograms, which have been lazing around in my pantry waiting for an occasion. I’ve been a huge fan of the Chez Panisse flourless chocolate cake for years, and have made several very tasty variations with various types of dark chocolate; Lindt Intense Pear and Lindt Intense 85% being my favourites to date. This weekend I decided to use whatever I had in the cupboard (including the aforementioned pile of milk chocolate) to make a delicious dessert. It sits, very happily, somewhere between a cake, a fondant and a fruit flan. 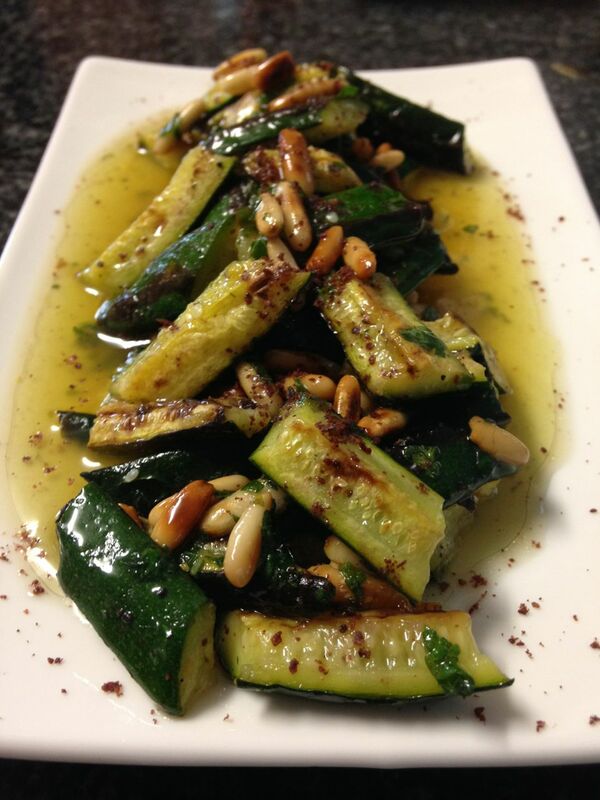 It’s rich and decadent, warm and spicy, cool and tangy all at once. Another dear friend, who requested to remain nameless, was instructing me in the ways of taking decent food photos while I was baking. It was a fun and chaotic afternoon, and I am eternally grateful. Grease the base of a 20-23cm springform cake tin and line with greaseproof paper. Dust with a little flour. Melt in a bowl in the microwave at 60% power. Once melted, whisk together until smooth. Whisk until soft peaks form. Whisk until thick and pale. Pour in the chocolate mixture and gently mix until smooth. Sift together onto the mixture. Carefully fold in the beaten egg whites to complete the batter. Pour the batter into the prepared tin. Bake for 25-30 minutes until the cake is set but slightly wobbly in the centre. Cool in the tin. The centre will collapse slightly – a perfect hollow for the toppings. Melt the butter in a very small saucepan. Add the pine nuts and cinnamon and fry gently until the butter begins to caramelise and foam and the pine nuts are starting to turn a very pale brown. Scrape the bottom of the pan to release any bits that are stuck and pour the pine nuts and butter into a cool bowl to stop the cooking. Gradually stir the yoghurt into the mascarpone to form a smooth mixture. To serve, run a knife around the edge and remove the cake from the tin. 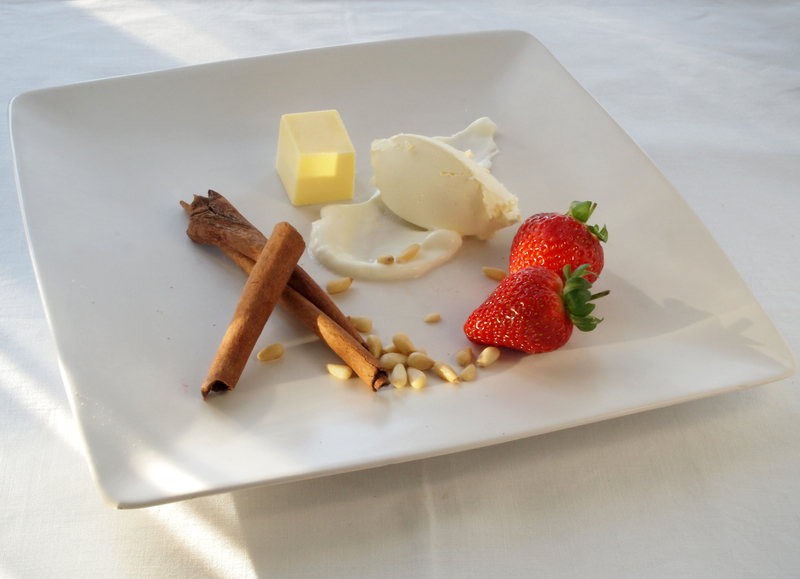 Peel off the paper and place on a cake platter. Dust the cake with cocoa powder. 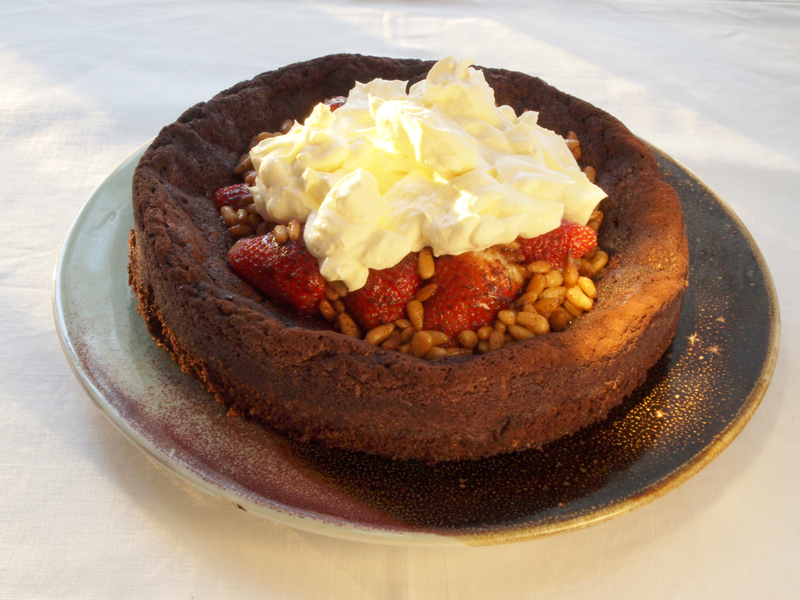 Pile the strawberries in the centre of the cake. Pour the butter mixture over. Spoon the yoghurt mixture on top. This cake is best stored at room temperature under foil, though the toppings need to be refrigerated. Oh dear, you’re going to have to eat the whole thing! Eat a slice, or 6! It’s gooey and delicious. A Hollandaise can be quite a temperamental sauce, as some of you might have seen on MasterChef SA last night when I had to whisk and emulsify to save my skin. The flurry of activity on the screen was also testament to the fact that it is quite labour intensive. It is very easy to overcook the eggs and split the sauce, or turn it into oily scrambled eggs. You could throw money at the problem and buy a Kenwood Titanium Cooking Chef which stirs and heats at the same time, and I must admit that this is as good an excuse as any to get it, or you could go the trusty sous vide route. 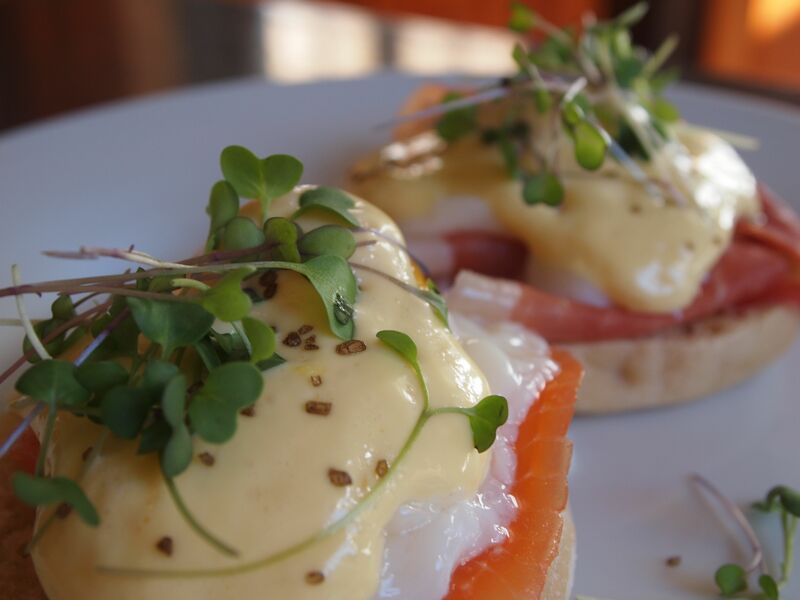 I recently, when I didn’t have the inclination to whisk, made breakfast for 9 people and served them Eggs Benedict with a slow poached sous vide egg, either smoked trout or prosciutto crudo and the lightest fluffiest sous vide hollandaise on top. 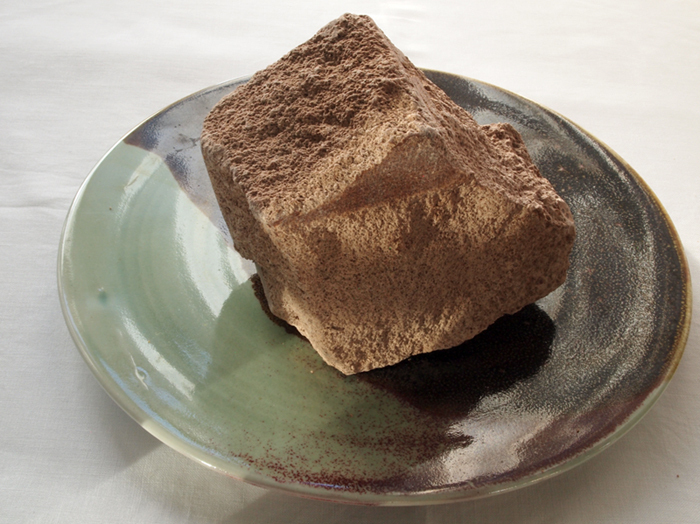 Recipe adapted from Modernist Cuisine at Home. Being homeless (well, between homes) isn’t the most fun I’ve had recently, so in desperation I egged the divine Mistress M on to arrange a cook-up at a fabulous friend’s home. Said fabulous friend being a haematologist and partner in a pathology laboratory; I thought a soupçon of chemistry with a dash of microbiology might be in order. The Maillard (say: my Yar) reaction, also known as the browning reaction, is the source of much of the deliciousness in the foods we love. The scrumptious crust on a seared steak, the caramelised sugars of toffee, butterscotch and tartes tatin, the heady aromas of roasted coffee beans, the comforting smell of baking bread are all largely due to this (actually quite complex) phenomenon. The lovely caramelized flavours typically do not occur in wet environments in the time scales of normal cooking, but we can do a few things to speed them along; up the temperature and up the alkalinity. So, with the help of Modernist Cuisine at Home, let’s put all of this wonderful theory into action. Because we’re literally a mile high, water boils at a paltry 94°C in Johannesburg. But even at sea level 100°C is not quite hot enough for caramelisation to take place in our soup. To get things a little more heated, we have to put some pressure on. Enter the pressure cooker. Well, at least it would if all of my kitchen equipment weren’t in storage. 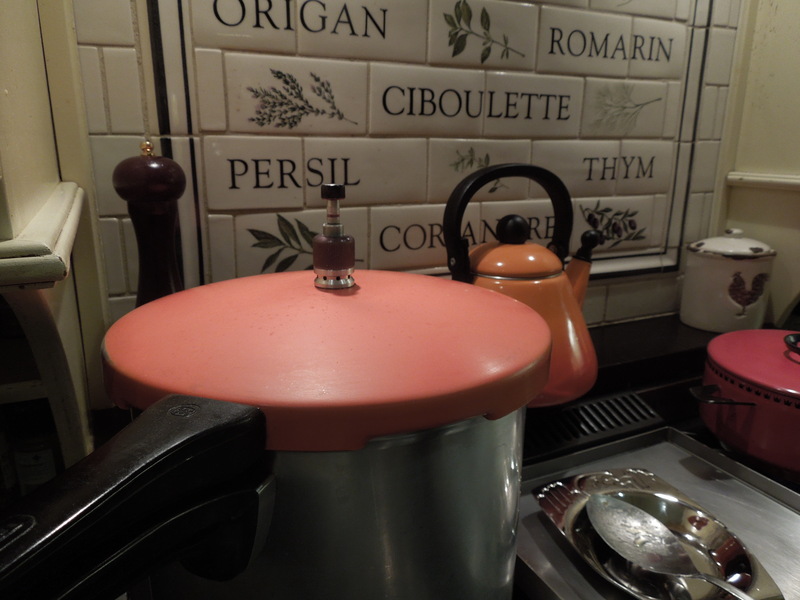 After some frantic twoogling and phoning around, my aunt came to the rescue with a very retro orange pressure cooker, which then entered. A perfect match to the soup. With the equipment to add enough heat (up to 120°C in a pressure cooker), we now need to raise the alkalinity. Imagine your carrots in the pot have indigestion and you want to neutralise some acid. Just add another retro remedy: bicarbonate of soda (baking soda [U.S.] / koeksoda [Afr]). 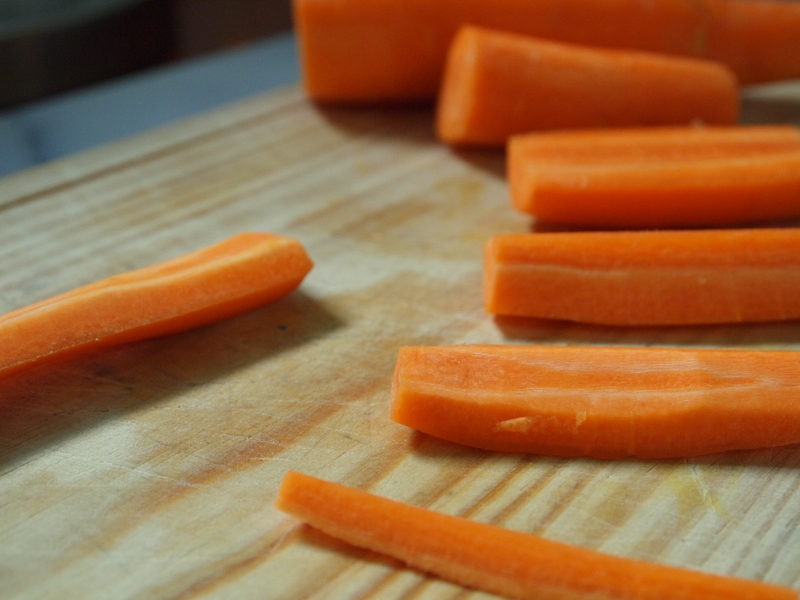 After peeling the carrots and removing the fibrous cores, chop them into 5cm pieces. Melt butter in the pressure cooker. This coating stops the carrots from sticking and adds some proteins for more Maillard deliciousness. Add some water, salt and baking soda, and pressure cook for 20 minutes. 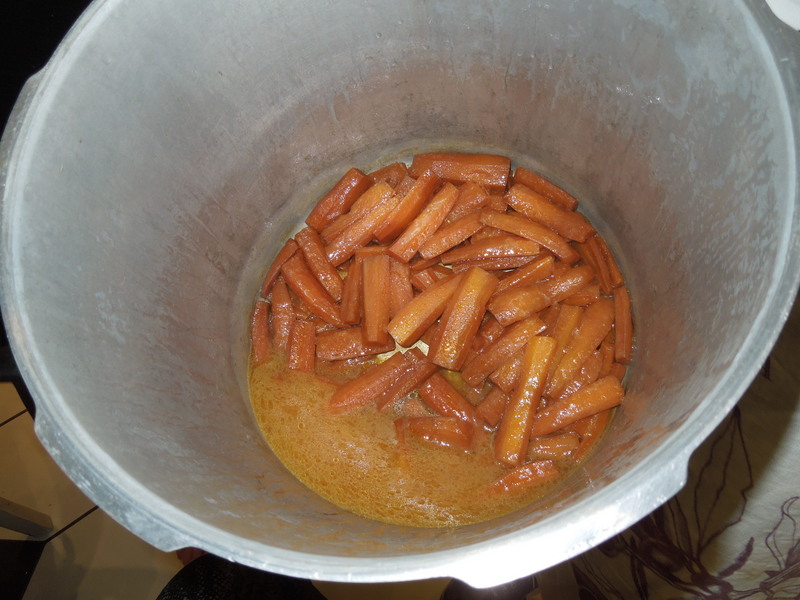 Give the pot a few cautious shakes in the beginning to stop the carrots from sticking. Depressurise and Voila! Pressure-cooked caramelised carrots. They smell delicious, like toffee. 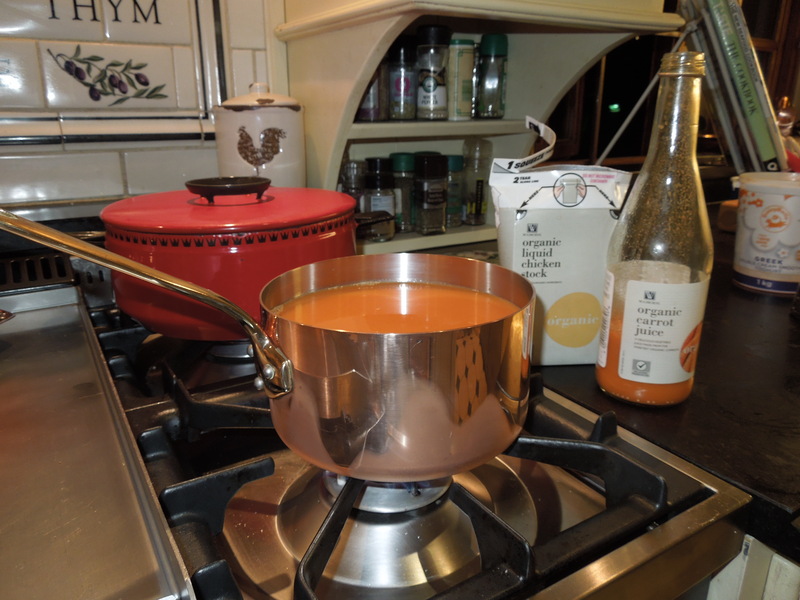 Puree the carrots with and immersion blender and pass the puree through a fine sieve or chinois. 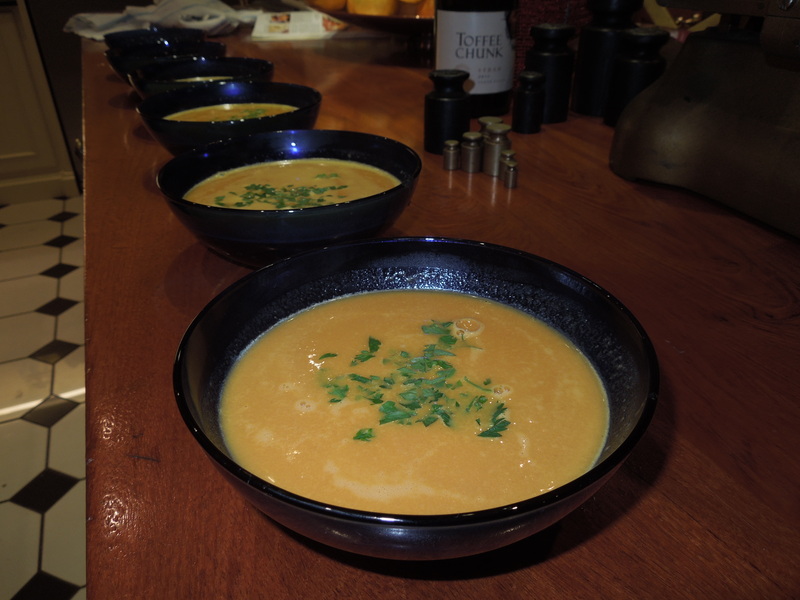 Bring the carrot juice (and water or stock if using) to the boil, strain and stir into the carrot puree. Season with salt to taste, spoon it into soup plates or bowls and serve. I wanted to serve it with a sprig of dill on top, but had to settle for bit of chopped parsley. So easy, so delicious, so educational. 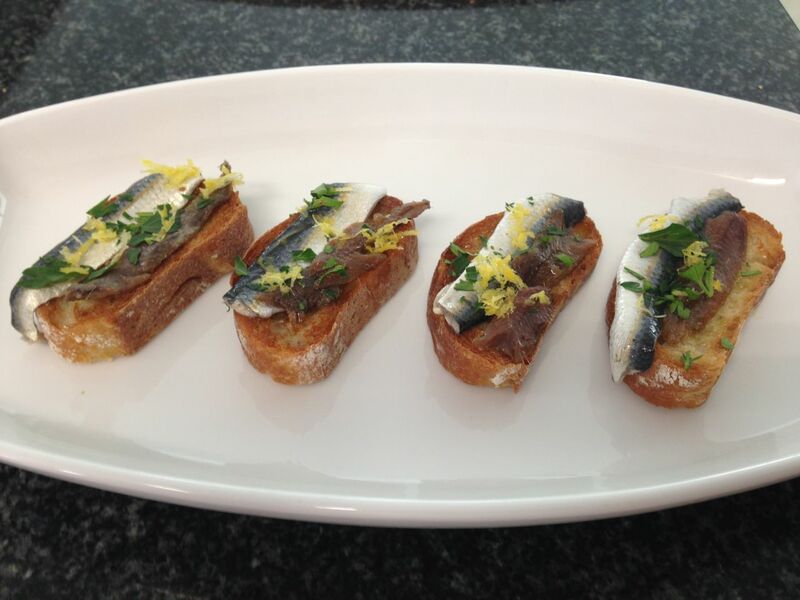 Thanks @ModernCuisine! This is the essential cookbook for the home cook who would like to experiment with the new tools and techniques of modernist cuisine. 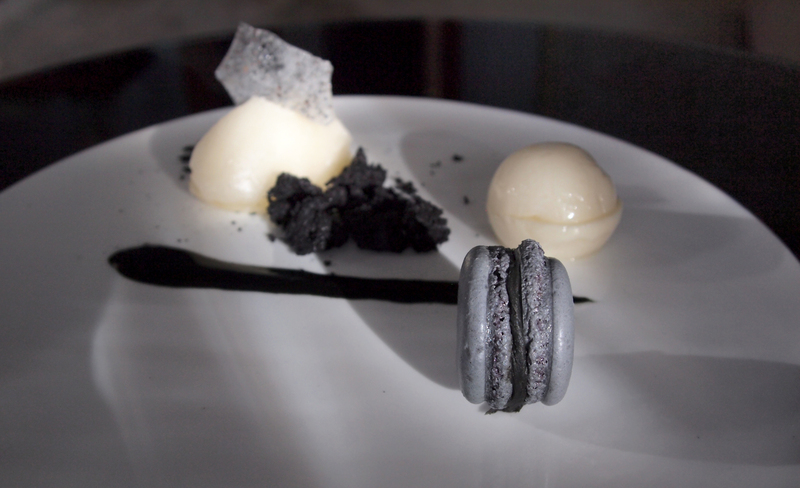 Molecular Gastronomy is the science that studies the principles at play in the kitchen, on the plate and in the mouth. When you actually start to cook it’s something else entirely. Hervé This, one of molecular gastronomy’s founders, waxes lyrical about this in the introduction to his new book, if you’d like to know more. Nathan Myhrvold et al like to call this cooking part, and their massive book, Modernist Cuisine. I’ll side with them on this naming (for now). You’ll find the simplified caramelised carrot soup recipe in this book. 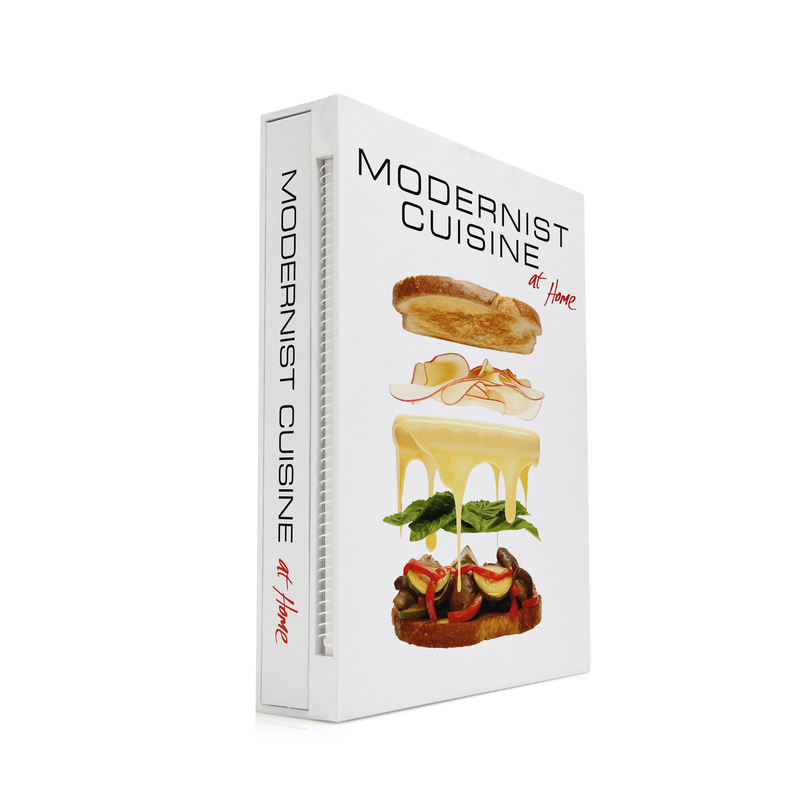 This is the definitive guide to Modernist Cuisine. 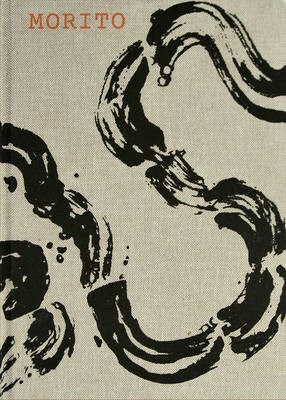 A hefty 5 volume set of groundbreaking gastronomical delights. I think I might sell body parts to have my own copy.